The call went out only a few days before, but we had at least 20 people turn up for our first ever organised clear up as the Sidmouth Plastic Warriors. The enthusiasm was fantastic, despite freezing winds, and a large haul was gathered together (admittedly in a very disorganised way with no thought of what to do with it afterwards – sorry). We made the paper… here… and the huge increase in the petition following it shows that keeping it in the public eye makes a huge difference. Each beach clean itself does make a difference too – but the real aim of the Warriors is to get public opinion to change, force shops to change packaging, and give up our obsession with single-use plastic wherever possible. Days like this will mean this happens much faster than the 2042 aim of the government – and it’s spreading all over the country. On to the next one! 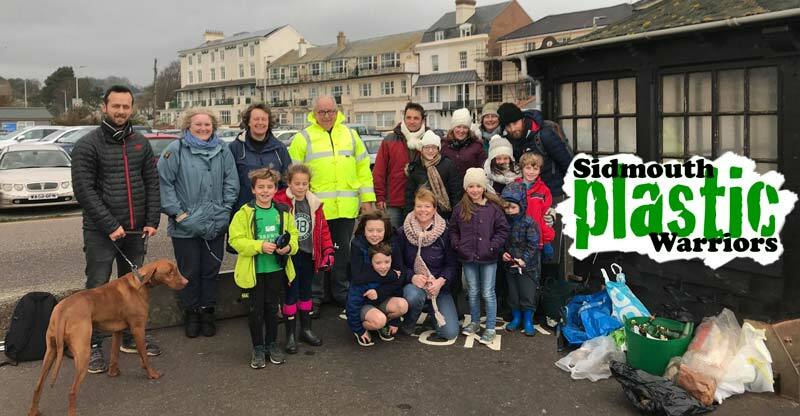 This entry was posted in Clean ups, Petition, Publicity and tagged beach, clean, plastic, sidmouth, warrior. Bookmark the permalink.